as well as his Cause for Canonization as a saint in the Catholic Church. Emil Kapaun was a Catholic priest and U.S. Army Chaplain born in the small Czech farming community of Pilsen, Kansas on April 20, 1916. Growing up he was much like any other hardworking farm boy, but was especially mindful of God and others. Four years after his ordination as a priest of the Diocese of Wichita, he entered the Chaplain Corps to serve the troops in World War II and was sent to the Burma-India theater. After the war he went back to parish life, but re-entered the Chaplain Corps in 1948, serving first at Ft. Bliss, Texas. At the beginning of 1950 he was assigned to the 1st Cavalry Division in Japan.  In July of 1950 Chaplain Kapaun and the 8th Cavalry Regiment of the Army’s 1st Cavalry Division were among the first troops sent to help defend nearby South Korea after its invasion by the North. Chaplain Kapaun quickly gained a reputation for bravery by ministering to soldiers in the thick of battle, often having to be reminded to keep his head down from oncoming bullets. Eventually pushing its way into North Korea, the 8th Cav was ambushed by a large Chinese Army that had secretly entered the war. Here, at the Battle of Unsan on November 2, Kapaun once again braved the battlefield to rescue men or give them Last Rites. He showed his dedication to his "boys" by choosing to remain with a number of wounded men rather than escape. Captured by the enemy, this group was forced to march over 60 miles to a prison camp along the Chinese border in the bitter cold. Along the way, Father Kapaun carried his wounded comrades and encouraged them to do likewise. For his actions at the Battle of Unsan, Kapaun was awarded the military’s highest award, the Medal of Honor, in 2013. In his seven months in the prison camp, Father Kapaun spent himself in heroic service to his fellow prisoners without regard for race, color, or creed, giving them help and hope when they needed it most. Ignoring his own ill health, he nursed the sick and wounded, stole food for the hungry, picked lice off of men, washed dirty and soiled clothing, and encouraged men through prayer and humor to keep fighting for life. Falling sick, the Chinese moved Father Kapaun to a so-called hospital, where, denied medical assistance, his death soon followed on May 23, 1951. Two years later the surviving Prisoners of War were released, and with them came a beautiful crucifix carved in the camp by a Jewish POW who was inspired by tales of Father Kapaun's deeds. The Prisoners testified to Father Kapaun's role in their survival and began to tell the world about their heroic and saintly chaplain.  This is a role that the Father Kapaun Guild seeks to carry on as we pray and work for his Canonization as a saint in the Catholic Church. We ask you to join us in prayer and in sharing Father Kapaun’s story with the rest of the world. For more on Father Kapaun’s life, download “The Story of Father Kapaun” Booklet. Father Kapaun was named a Servant of God in 1993, signifying his cause for sainthood could begin. This step involves a thorough investigation into the person’s life and writings. A “Positio Super Vita, Virtutibus et Fama Sanctitatis” (Statement on the Life, Virtue and Holy Reputation) of the Servant of God is compiled and presented to the Congregation for Saints in Rome. The Congregation for Saints reviews the life of the Servant of God, looking for evidence that he lived the theological, cardinal and related virtues to a heroic degree. 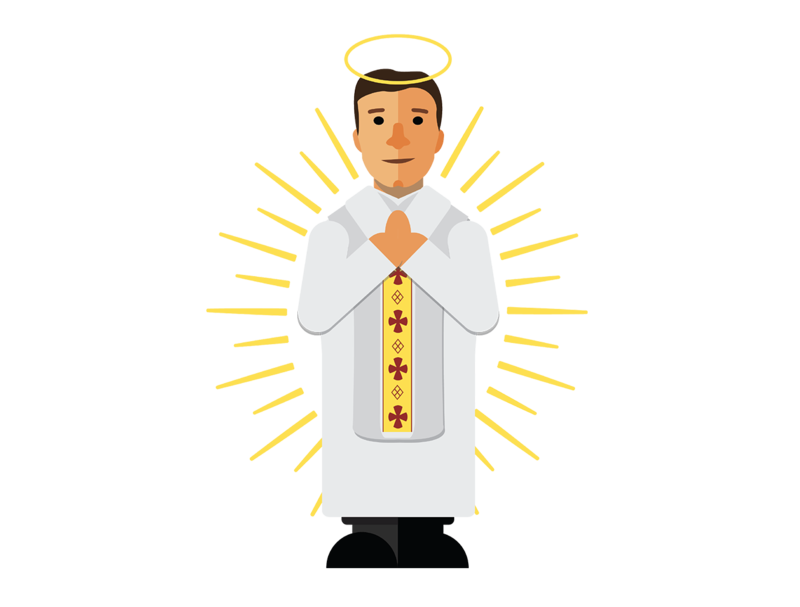 If approved, the Congregation will issue a decree of Heroic Virtue, giving the candidate the title Venerable. Beatification is a statement that it is worthy of belief that the candidate for sainthood is in heaven. It allows the Blessed’s home diocese or region to honor him officially by celebrating him on a certain “feast” day with special prayers at Mass and by allowing images of him inside Churches. In order to be beatified, a Venerable must have a miracle attributed to his intercession as supernatural evidence that he is with God. This miracle must take place after his death. Martyrs — those who died for their faith — can be beatified without a miracle, but we have received word that Father Kapaun most likely will not be named a martyr. However, we are con dent and hopeful in the alleged miracles that we are preparing for investigation. This is the step by which the Church formally declares a person to be in heaven and enrolls him in the “Canon” or list of saints. Another miracle, having occurred after beatification, is needed to show that God indeed approves this step. Canonization means the saint can be celebrated in liturgies and with images throughout the entire Church. The Chaplain Kapaun Museum is located at Father Kapaun’s home church, St. John Nepomucene in Pilsen, Kansas. Museum Hours: Tuesday and Friday, 1:00 to 4:00 p.m., or by appointment. Contact Harriet Bina, 620-381-1689, to set up a visit. Groups of 10 or more please call in advance. Sunday tours cannot be accommodated. Group tours should be no larger than 60 people, and donations to the Father Kapaun Legacy Fund are appreciated. No Handicap Accessibility: unfortunately the Chaplain Kapaun Museum is an old rectory and currently does not have handicap accessibility. St. John Nepomucene Church and the Chaplain Kapaun Museum are located 8 miles north of US Highway 56 on 275th street in Marion County, Kansas. The drive from Wichita takes about 1 hour and 15 minutes. Let us know tour options you would like us to cover. All Catholic priests who wish to celebrate Mass at St. John Nepomucene Church must make reservations in advance with Rose at the Holy Family Parish office.  Priests from outside the Catholic Diocese of Wichita must provide a letter of suitability for each priest celebrant/concelebrant with the dates and location of the desired Mass. Copies must be sent to both the Office of the Bishop and the Holy Family Parish Office in advance of the date of the Mass. Uniting men in prayer, formation and discussion in order to help us courageously respond to God's universal call to holiness and become better husbands, fathers, leaders and friends. All proceeds support the work of the Father Kapaun Guild in continuing Father Kapaun’s legacy and his canonization process.